Alana Goldstein is the new Community Building Associate for the Federation. I am pleased to welcome Alana Goldstein to the Federation as the new Community Building Associate. Alana received a very prestigious scholarship through JFNA’s Federation Executive Recruitment and Education Program (FEREP), and is committed to continuing her career in the Jewish Federation system. 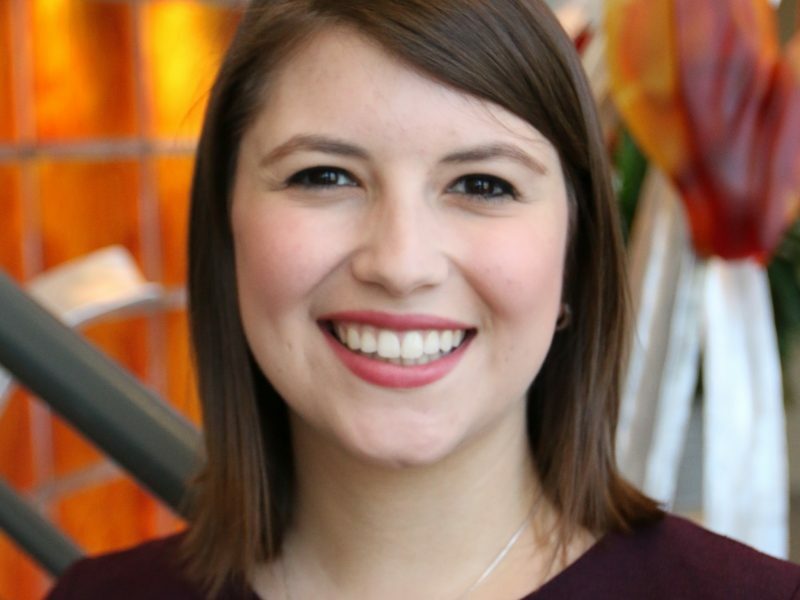 The Jewish Federation of Cincinnati has hired Alana Goldstein as Community Building Associate, reporting to Barb Miller, Director of Community Building. Goldstein will focus on local planning and allocations, overseeing the volunteer council members, who assess, evaluate, and allocate the Federation’s campaign dollars to local agency and congregational programs. She will also be involved with strategic planning, including the 2018 community study, Cincinnati 2020 and 2030, and partner agency relationships. As part of the Community Building team, she will also participate in the Israel and Overseas allocations process. “In her one month at the Federation, Alana has already demonstrated the ability to create relationships with our community leaders and she has facilitated wonderful site visits to our agency programs,” said Barb Miller, Director of Community Building. “She is detail oriented and very thoughtful. In this role as part of the Federation’s Community Building team, Goldstein brings prior planning and allocations experience from the Detroit and Chicago Federations. While completing her Master of Social Work with a Certificate in Jewish Communal Leadership at the University of Michigan, she was a graduate student intern at the Jewish Federation of Metropolitan Detroit and taught religious studies at Congregation Beth Israel in Ann Arbor. While pursuing a Bachelor of Social Work at the University of Illinois at Urbana−Champaign, she was an intern at the Jewish United Fund/Jewish Federation of Metropolitan Chicago in the Planning and Allocations Department. As a Federation Executive Recruitment and Education Program (FEREP) recipient through the Jewish Federations of North America, a scholarship that is granted to only five people nationally each year, Goldstein has pledged to continue her professional career in the Jewish Federation system. “I’m thrilled to be a new part of the Cincinnati Jewish community!” Goldstein said. “In the past month, I have been so impressed with the collaboration and innovation of the Jewish Federation of Cincinnati and of the Jewish community in general. Will she also visit the Orthodox community in Cincinnati or does pluralism only include reform? Thank you for your question! I have been managing local site visits to programs that our campaign support, including Cincinnati Hebrew Day School, Atara, the Kollel, and three Orthodox congregations that receive SEED funding. We have also visited Camp Chabad and Camp Ashreinu. As somebody who just arrived in Cincinnati, I can see the breadth of programs and the diverse ways in which people observe Judaism in this community. Barb Miller and I are happy to discuss further, feel free to send us an email!